To make your bathroom accessible for injured or disabled users, we begin with a Free Safety Audit. This will help us determine what fixtures you need and what obstacles may need to be removed to accommodate your needs today and in the future. Once complete, we will provide you with a Free 3D Design* showing you what your new fully accessible disabled bathroom will look like when complete. All projects begin with a Free Safety Audit to assess your needs and determine which safety and accessibility features will be necessary to make the area safe and accessible. All designs are reviewed and approved by a registered Occupational Therapist to ensure you can use all features and functions from a sitting or standing position and that your needs have fully been met. 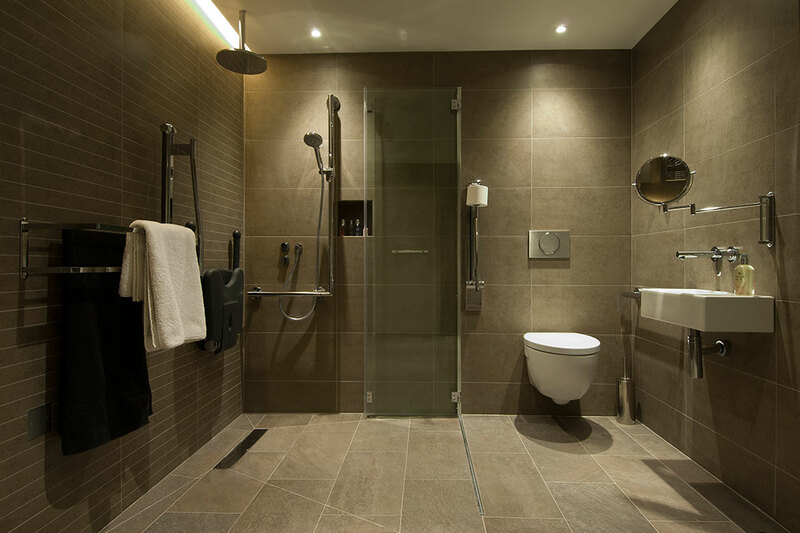 We know your time is precious so we provide fast, professional installation and don’t stop until you are 100% thrilled with every feature in your new accessible bathroom.